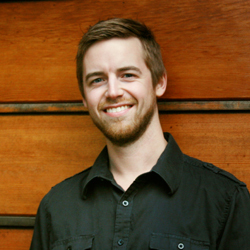 pastor | Ross Gale is a writer and editor from the Pacific Northwest. Since reading the submissions from the 13 Creatives (and you brave Creatives who shared with me your own posts struggling with these same questions), my thoughts and feelings about creativity changed from being positioned on firm ground—while preparing to make that first leap into the void—to beginning from the void and the chaos with nowhere to stand. The image places the Creative into the middle of the Tarantula Nebula, one of the “largest, most violent star forming regions known” in this stretch of the sky. Where we create rarely begins on solid ground. 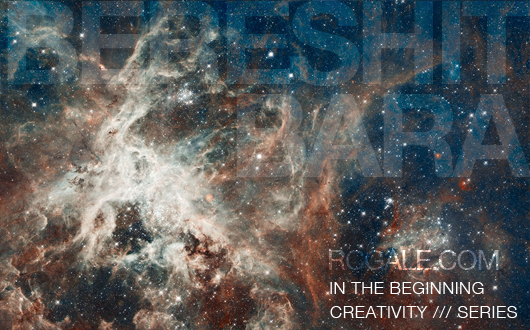 We start inside the chaos and violence and we strive to create something which shines for everyone to see. It is here, in the forming gas and explosions, we too are formed. Dyana Herron is a writer and editor originally from Tennessee. She now lives with her husband in Philadelphia. You can visit her at dyanaherron.com. Tyler’s first book Why Holiness Matters releases in August. Those who comment on his post will be entered into a drawing out of a hat (by my wife) to win a copy of his book. Tyler Braun is a 27-year-old INTJ living in Portland, Oregon with his wife Rose. He works full time as a worship leader, while also finding time to study at Multnomah Biblical Seminary in pursuit of a masters degree. Tyler’s first book releases in August of this year through Moody Publishers and is available for pre-order now. You can find Tyler on Twitter, Facebook, or his blog. • It’s easy to get into a spiritually abusive system, but it’s very hard to get out. The further we move away from normal the more trapped we are in our thinking. We can become delusional about the situation and at some point even addicted to religion. • To begin seeing the abusive system clearly and not through the unhealthy lens that the abusive system wants you to look through you must return to the true gospel, not the performance gospel an abusive system can preach, but a gospel where there is freedom in Christ, where there is rest and hope and love. • Here are some questions the authors ask when thinking about whether or not to leave or to stay: Does grace really have a chance? Are you supporting what you hate? Do you need to be right? Can you stay, and stay healthy, both at the same time? Can you decide your own limits and stick with them? Do you believe God cares more about the church than you do? Is it possible the system might need to die? Are you trying to help the system even though you are exhausted? Are you able to listen to the voice of sanity? Do you really know where to sow? If you came today for the first time, knowing what you know now about the system, would you stay? • The authors give some helpful advice for those who choose to fight the spiritually abusive system. Decide whom you serve, whether Christ or yourself. Be ready for resistance. Keep telling the truth. Know who your enemy is. Satan is the enemy, our battle is not against flesh and blood. Hang on to the Shepherd. Know how a healthy spiritual system functions. The book ends with a message to perpetrators of spiritual abuse. An interview with one of the authors here.